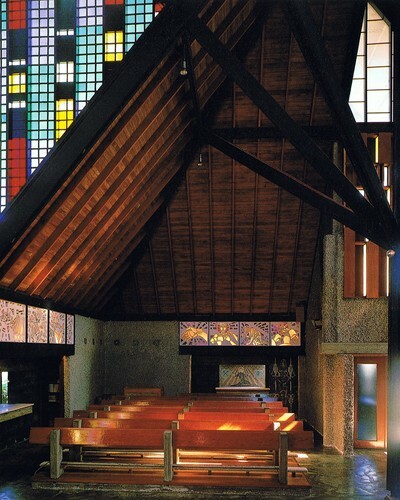 Futuna Chapel is one of New Zealand's most important works of contemporary bicultural architecture and is a listed heritage building category 1. It was designed by architect John Scott in the late 1950's and is considered to be his masterwork. The Futuna Trust would like to welcome the public of Wellington and its many visitors to visit the Chapel and enjoy its peace and quiet, and, on sunny days, the wonderful coloured display of light that slowly sweeps through the interior. Entry is free but a koha would be appreciated.